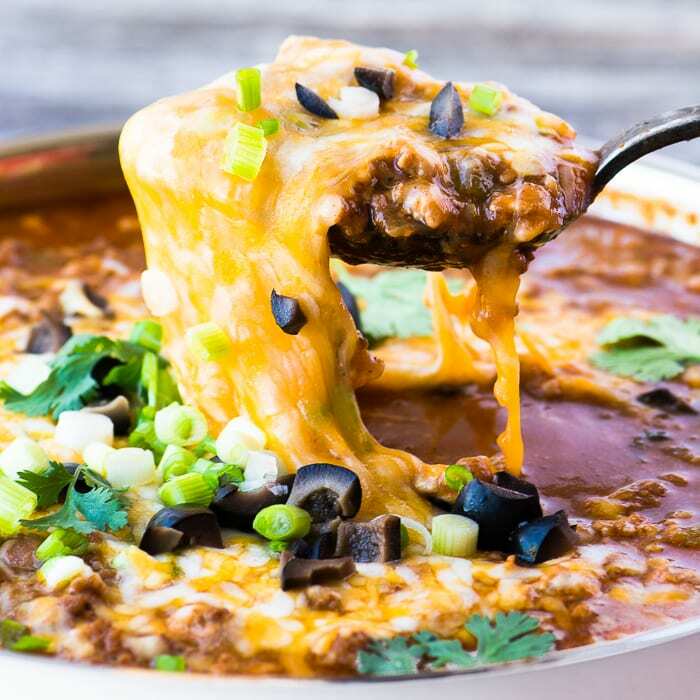 Meat Lovers Chili is loaded up with three kinds of meat, (beef, pork, sausage) making this classic chili recipe a hearty favorite when the weather cools down and appetites ramp up. Everybody loves this easygoing one pot meal. 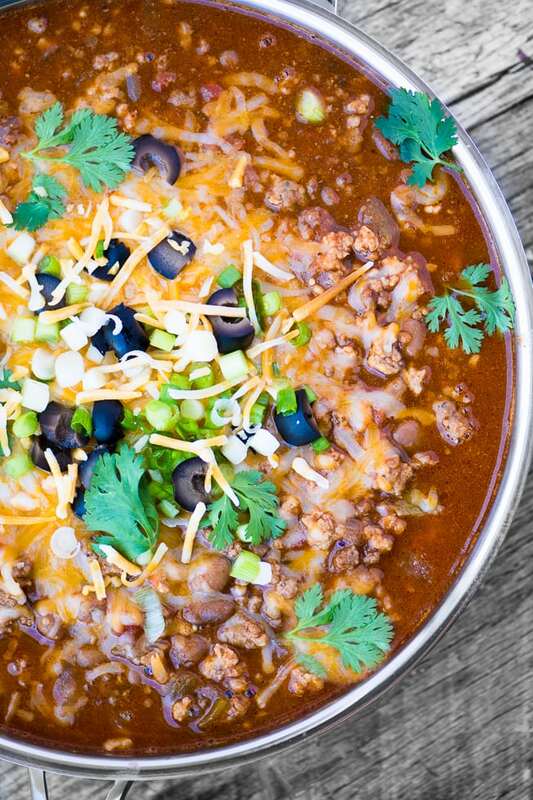 This meat lovers chili is a fix-it-and-forget-it type of recipe — once you’ve got the meat (3 pounds!) browned, you can basically dump everything else in, give it a stir, and let it simmer away on its own. When you’re ready to chow down, let everybody serve themselves and top it with their favorite garnishes. Never have so many been so well fed with so little effort. 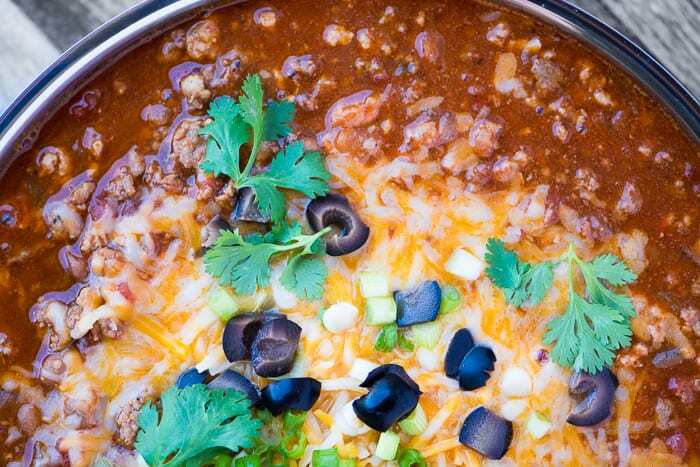 TIP: Chili is one of those dishes that is easy to put together, but does benefit from a long slow simmer. That allows all the complex flavors to develop and mingle. Plan on at least 2 hours of (almost hands off) cooking time. I will let it sit on the stove for another hour off the heat, just to let it ‘mature’. 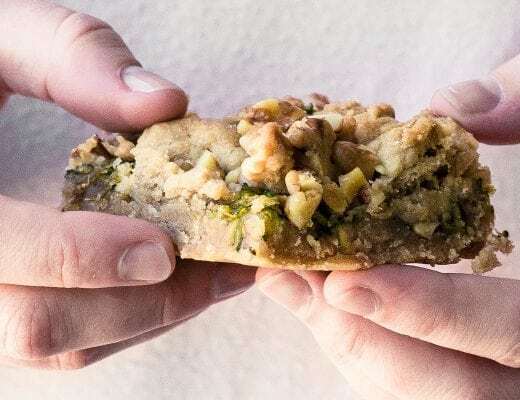 Then it can be refrigerated until later, or reheated and served. This isn’t rocket science…I saute a large chopped onion, then brown each of the meats ~ beef, pork, and sausage ~ individually. After that everything goes back in the pot with a bottle of beer, a can of good crushed tomatoes, and all the seasonings. Bring it up to a simmer and let it work itself into a wonderfully rich chili. I add a can of beans and chili peppers toward the end, and then I’ll thicken it up with a slurry of masa harina and water. TIP: Masa harina is a super fine textured corn flour that is used to make tortillas and tamales, etc. I love to mix it with water, just like you would do with cornstarch, and use it to thicken up my chili. I always have a bag in the cupboard, and it’s essential if you want to make your own homemade tortillas. I also make Masa Harina Biscuits that are unbelievably tender. Look for it next to the corn meal in your supermarket. Personally, I don’t need 3 kinds of meat in any one meal, but I made this to tempt my husband, who usually turns up his nose at chili for dinner. 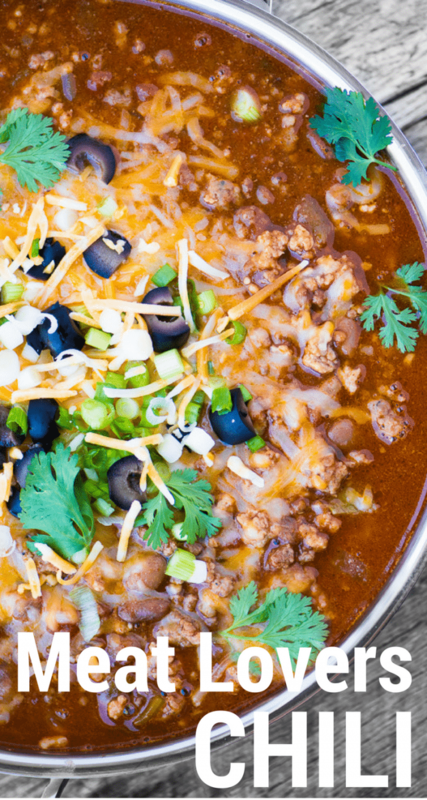 I love to usher in Fall with a big bowl of comforting chili, so this recipe was created to make us both happy. 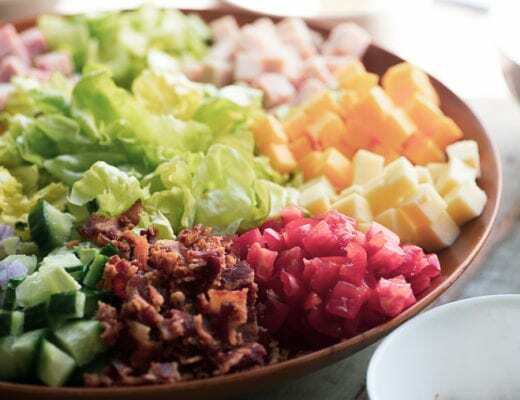 TIP: Toppings matter! I grew up in a house where chili was just a plain brown stew (no offense, mom!) But now I’m in the more is better camp when it comes to chili garnishes. Cheese, sliced green onion, olives, cilantro, avocado, sour cream, crushed corn chips…pile it on! Heat the oil in a very large, deep skillet or stock pot. Saute the onions in the oil for 5 minutes, until soft. Add the garlic and saute 2 minutes more. Remove to a plate. Add the beef to the pan and brown, breaking apart the meat with a fork or spatula into small crumbles while it is cooking. Remove to a plate. Brown the pork the same way and remove to a plate. Remove the sausage from the casings and brown it in the pan, in the same manner as with the other meats. Put back the onions, beef, and pork to the pan with the browned sausage and give it all a stir. Add the beer and bring up to a simmer. Add the tomatoes, tomato paste (if using) bay leaves, cumins, chili powders, oregano, salt and pepper. Stir well, and bring up to a simmer. Turn down the heat, cover the pot, and simmer for an hour. Stir occasionally. After an hour, taste the chili and adjust any of the seasonings. Add the beans and chilies to the pot. Dissolve the masa harina in 1/4 cup of water, and stir it into the chili. Gently simmer for another hour, stirring occasionally. Taste the chili to adjust the salt or any of the other seasonings. At this point you can serve it, or let it cool for an hour off the heat, and then refrigerate until ready to serve. You can do this up to 24 hours ahead if you like. Serve with plenty of toppings! My husband has the habit of putting corn chips at the bottom of the bowl before he ladles in his serving of chili. I used to think it was odd, but once I tried it, I was hooked. The alcohol in the beer will evaporate by the end of cooking, leaving just a hint of flavor. 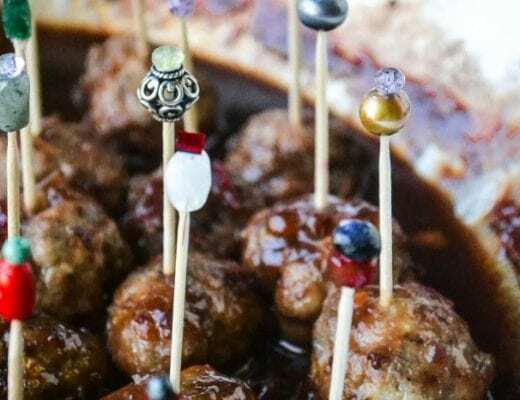 don’t forget to pin my Meat Lovers Chili! Substitute for beer? I don’t like the taste. Plus not all alcohol burns off with cooking. You can use beef stock, or just water if you like Sally. May I ask why you brown the meats separately? I brown them separately just because I don’t want to overload the pan, I always brown my meat in batches to make sure it browns. Too much meat in the pan at one time will create too much moisture and you won’t get that good sear. You had me with the title! And then, pork too? I’ve always stuck to ground beef beef and maybe some kind of steak cut, like the thought of adding pork, thanks you! I have masa harina and had no idea what to do with it..love chili! 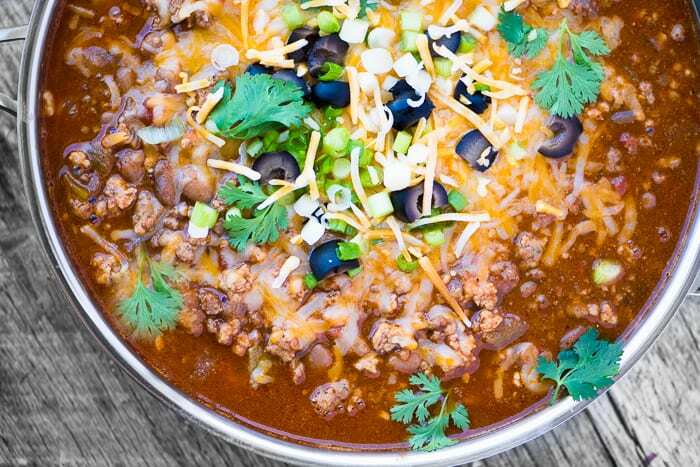 Nothing says fall comfort like a great chili recipe! Love all those toppers too! I know we all have all favorite “go to’s” for chili, but every once in a while, you just gotta dial it up a notch or two. I know my meat lovin’ Mr. Rosemary would love this — three kinds of meat. It’s chili season! Wow that is meaty! Great combo of flavours, and easy to make in advance. Sounds perfect. Delicious chili Sue! My family will love your recipe, now I know what to make for dinner tonight! Love a good chili and this one looks GOOD! Love the idea of the 3 meats, something to please everyone and the masa marina is awesome. I love the hint of corn flavor it would give to something like this! You could definitely put in more beans, Susan, I even like to mix different varieties. And yes, Frito Pie rocks! My family will love this and I love all that cheese you piled on top! Perfect meal for all this rainy weather we are having here. What can be substituted for masa harina? I don’t want to buy a bag for just the little bit called for in this recipe. You can sprinkle in a couple of tablespoons of cornmeal right into the chili as you stir it, Kimi. If you don’t like that flavor you can use flour or cornstarch, or tomato paste. You can also get a thicker chili by leaving the lid of the pan off while you cook it so some of the liquid evaporates. Another way is to puree some of the canned beans before adding them. Love chili! Make it all the time during the cold months. This looks wonderful — loads of flavor. And I agree toppings are key! Good stuff — thanks. wow that topping makes all the difference! Awesome! My husband would love this meaty chili! This is definitely “man food” with all that melted cheese and plenty of spice. I love your trick for thickening the broth – so smart! Thanks for sharing my chili too!